The Huawei logo is displayed at a store in Beijing on December 6, 2018. The chief financial officer of China’s global telecommunications giant Huawei has been arrested in Canada and faces extradition to the United States, officials said, triggering a strong protest by Beijing, which called for her immediate release. 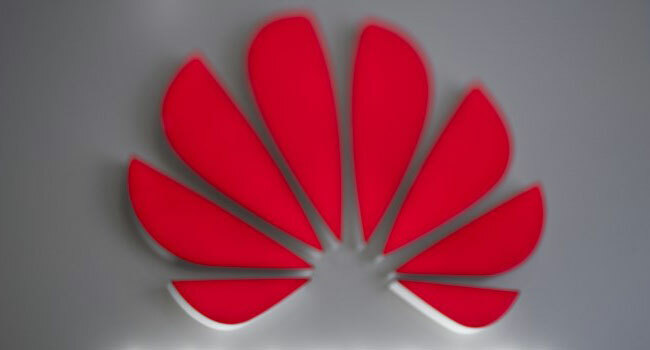 Huawei said Saturday it has fired a Chinese employee who was arrested in Poland on espionage allegations, as China’s telecom giant distanced itself from the case amid Western concerns that it could act as a proxy for Chinese security services. This week’s detention of Wang Weijing follows the December arrest of Huawei’s chief financial officer in Canada and US efforts to blacklist the company internationally over security concerns. While China’s government has vociferously defended Huawei CFO Meng Wanzhou and demanded her release, the firm swiftly sacked Wang, who works at its representative office in Poland. “His alleged actions have no relation to the company,” Huawei said in a statement to AFP. “In accordance with the terms and conditions of Huawei’s labour contract, we have made this decision because the incident in question has brought Huawei into disrepute,” it said. A Polish man was also arrested for alleged espionage along with Wang on Tuesday. Both men are suspected of having “worked for Chinese services and to the detriment of Poland,” said Polish special services spokesman Stanislaw Zaryn. The Chinese foreign ministry said Friday it was “highly concerned” about the case and later said it was seeking to arrange a consular visit for Wang as soon as possible. According to the LinkedIn profile of “Stanislaw Wang” — Wang’s Polish name, according to Polish media TVP — the detained Huawei employee worked at the Chinese consulate in Gdansk, Poland prior to his tenure at the Chinese tech firm. At Huawei, Wang worked as a public relations director for more than five years before moving into his current role as sales director in 2017. He is a graduate of the Beijing University of Foreign Studies. His case is the latest setback for Huawei. Its chief financial officer Meng Wanzhou was arrested in Vancouver on December 1 on request from the United States, which has accused her of fraud related to violations of Iran sanctions. Meng is the daughter of Huawei founder Ren Zhengfei, a former Chinese People’s Liberation Army engineer. Following her arrest, two Canadians were detained in China on grounds of endangering national security, in what has largely been seen as retaliation. Meng’s arrest sparked a surge of patriotism in China with companies encouraging staff to buy Huawei smartphones — and several companies even offering employees subsidies to buy phones from the home-grown company. Huawei in December said it expects to see a 21 per cent rise in revenue for 2018 despite what it called “unfair treatment” around the world, as several countries banned its telecommunications technology. Last month, Britain’s largest mobile provider BT said that it would remove Huawei equipment from its cellular network after the foreign intelligence service called the company a security risk. Australia and New Zealand have also enacted similar bans, leaving Canada the only country in the “Five Eyes” intelligence network not to take steps against the Chinese firm. Last month, a senior EU official warned that the bloc should be “worried” about Huawei and other Chinese firms. Huawei has rejected Western concerns, saying there was “no evidence” that it poses a threat to the national security of any country. Huawei’s business is thriving in many places. Last year the company said it had signed memorandums of understanding for 5G equipment with 45 operators in Asia, Europe and North America.